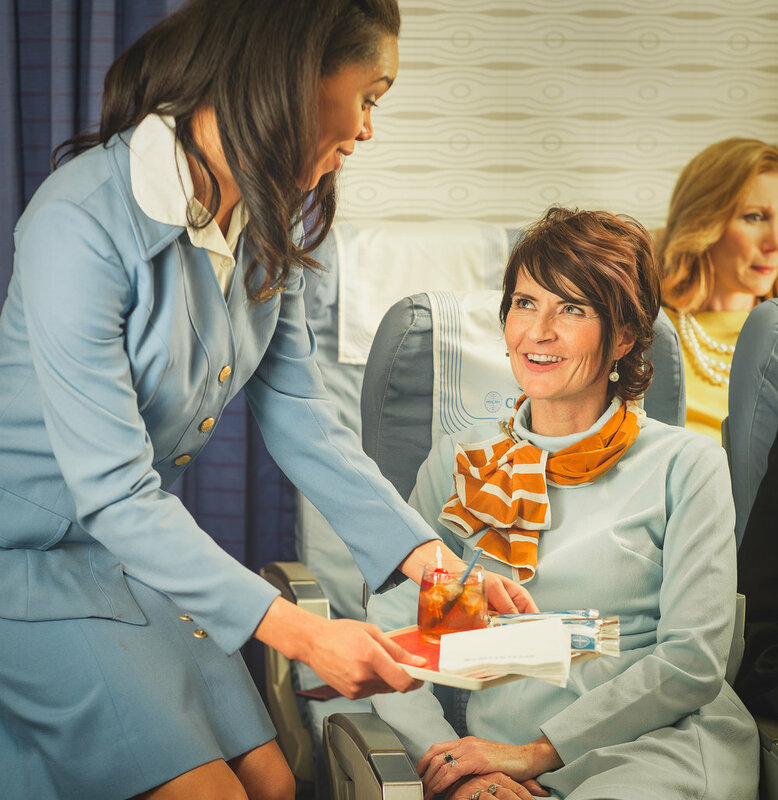 From its founding in the 1920s to its peak in the 1960s and 1970s, Pan Am set the status quo when it came to international travel. Everyone wanted to fly Pan Am, other airlines wanted to be Pan Am, and everyone wanted to work for Pan Am. 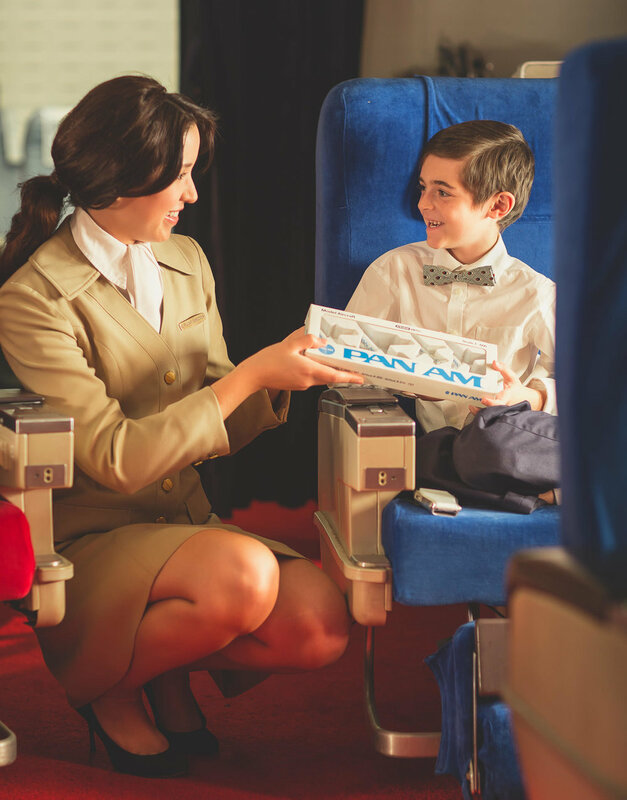 Revered by the rich and famous, the traveling public, enthusiasts and employees alike, Pan Am’s legacy lives on to this day. 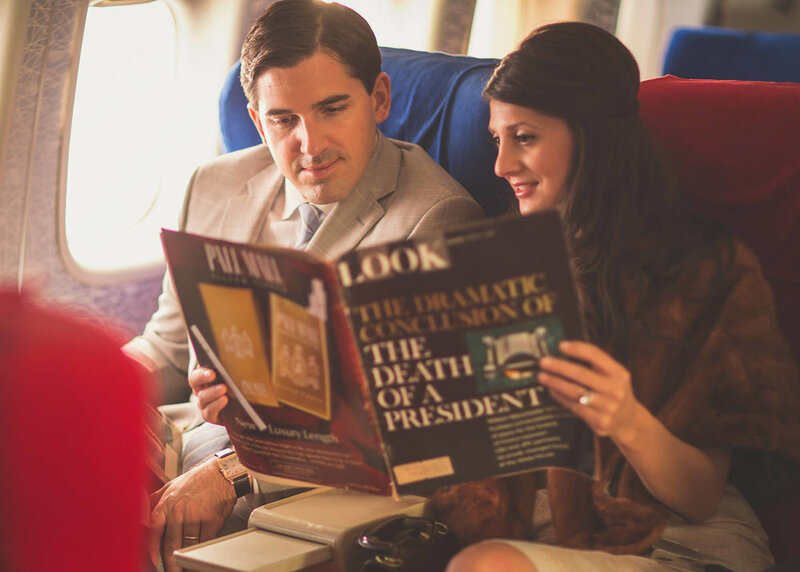 In an attempt to share this legacy with the world, I worked with Anthony Toth, one of the world’s foremost experts on aviation history, to bring Pan Am back to life in 2014. This is the story of Pan Am Flight 120, from Los Angeles International (LAX) to London Heathrow (LHR) on a Boeing 747-200, Clipper Gem Of The Ocean. 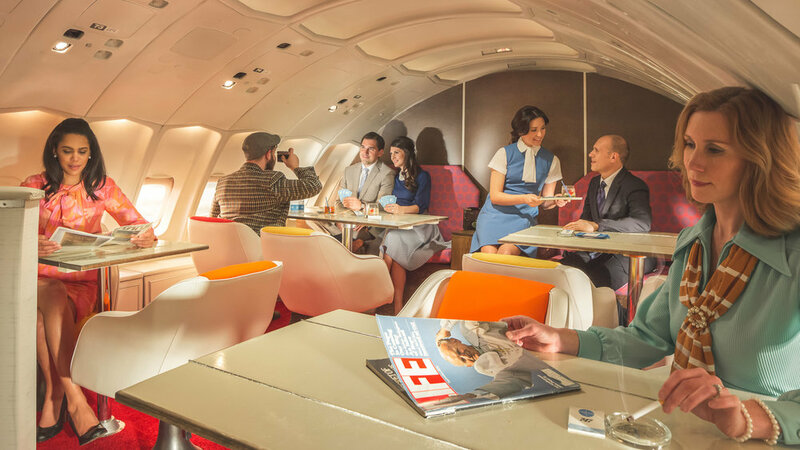 This photo series proved to be so popular that Toth's re-created 747 interior has been moved to a permanent home at Air Hollywood, where it serves as the Pan Am Experience, a full-service restaurant and fashion show, providing guests with a one-of-a-kind experience, ordering food from the original Pan Am first class menu and experiencing the fashion of Pan Am throughout the years. For more information and behind the scenes video, click here.